It’s time to look at a classic comedy film involving a form of body switching. In this case it isn’t a body switch like Freaky Friday, but more of a body upgrade as the kid turns into an adult. This kind of plot is always pretty interesting, but at the same time it can head into iffy territory very easily. This one does go there I’m afraid and ultimately doesn’t quite handle itself as well as Your Name did. Josh has been having a tough time of it lately. He wants to impress someone at school but not only is she way older than him but she already has a boy friend. Josh runs off into the dark side of the park to try and forget this. There he sees a wish machine and wishes that he could be bigger so he could ride a roller coaster. As you can probably guess from previous wish type plots, the machine takes him very literally and decides to increase his size all the way to that of an adult’s. Josh tries to explain this to his Mom, but she’s not buying it. Somehow he has to find the machine again to reverse the wish, but he’ll need to find out where the circus is playing next. His friend Billy is ready and willing to help, but it’ll take a few weeks so in the meantime Josh needs to learn how to hold a job and live out this new life. I think that’s where all the potential in these kinds of films is. Seeing how the kid in an adult’s body will handle the rigors of adult life. Honestly, most adult stuff a kid could totally handle. It’s just the taxes and finances that would probably start tripping him up. Josh is definitely lucky that this is a pretty old film as it was a lot easier to just walk into a shop and get a job back in the day. Being in charge of the toy section was also incredibly lucky for him. The film has a lot of nice scenes of Josh just enjoying this new situation. He can now buy whatever he wants and there’s little reason to go back to being a kid. Of course, he ultimately knows that he does need to return as it’ll be rough on his Mom if he doesn’t but Josh isn’t in as much of a hurry as he once was. Where the film really drops the ball is the romance with Susan. Again, keep in mind that Josh is just a kid here. Even if he is in an adult body, it doesn’t make the romance any less iffy. He should have made sure things didn’t escalate since it’s hardly fair to Susan, but he decides to just enjoy the moment. The romance goes a lot further than you’d expect given the circumstances and it’s just hard for the film to recover from that. It’s a plot point that should not have happened at all. At the very least if the movie was going to go that route then Josh should have been aged up by a few years to make it less iffy. Susan also doesn’t seem like a good character anyway. It seems like she has a lot of quick flings so she’s not very loyal. She takes the plot twists pretty well by the end, maybe better than she should. Then we have Paul who was the first rebound guy. He makes for a good antagonist, but of course he is naturally not here to be particularly reasonable. The scene of him trying to fight Josh in hand ball was pretty intense. I’m glad Josh didn’t let him cheat, but he certainly lost the fist fight there. Paul knows how to throw a good punch. Meanwhile, Billy is a good friend to Josh. He does a lot of the research and puts a bunch of effort into getting Josh back into his original body. You can’t deny his work ethic, but I think he could have been a little more patient with Josh. Josh was ready to turn back to a kid after he finished some phone calls, why couldn’t Billy just wait a few minutes? Instead he pulls the whole “It’s either me or your job” card which isn’t particularly fair to Josh. Still, for the most part he is quite solid. While the writing is decent for the most part, Josh could have been written a lot better. He’s extremely oblivious which is one of the reasons why the kids don’t usually rank. He doesn’t realize that he is acting like a kid half the time which is a bit iffy. Playing with his food at the ice cream store will probably make you cringe as well. He goes from being a kid to a grown up pretty quick mentally to the point where he’s probably gonna be pretty messed up once he becomes a kid again. Also, he could have done a better job of explaining things to the Mom. He should have gone with Billy and they could have proven themselves somehow or another. I’d say that the best scenes here are when the characters first head to New York. I think the film did an accurate job of showing just how violent the city used to be. Gun shots were frequent and everyone was only concerned with staying safe. The New York pizza looks as delicious as ever and you’ll probably get hungry just looking at it. Getting any sleep the first few nights in such a rough neighborhood would probably be one of the hardest parts about suddenly growing up. I wouldn’t have minded just seeing more of the neighborhood and such. 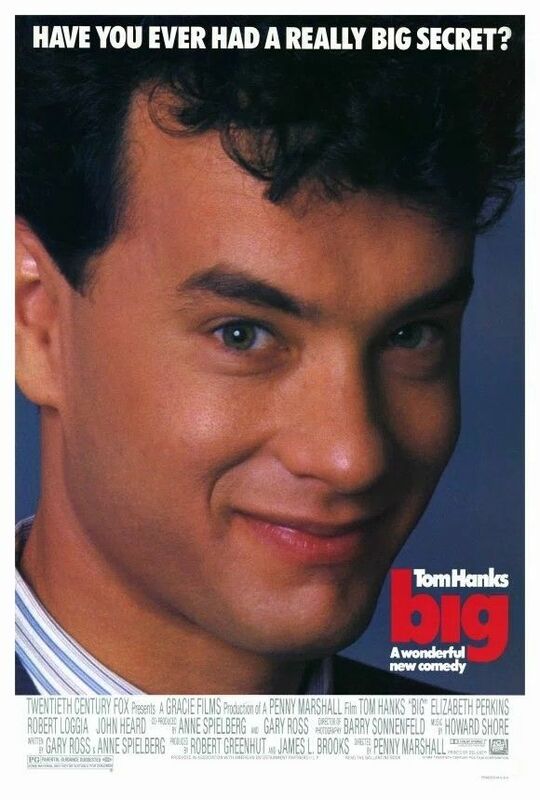 Overall, Big is a fun film, but I can’t really call it a good one. Get rid of the romance and it’s a whole other ball game. After all, the film’s first half is where it is strongest. Once the film starts tying itself down with romance and drama it has less time to be a comedy. It’s unable to fulfill both roles. If you like the premise then I’d recommend checking this film out. Otherwise, Your Name is a better body switching film that avoids the issues that this one has. I definitely expect that Shazam will be able to pull off this concept more effectively. THIS IS THE POLAR EXPRESS!!!!! When the conductor yelled that, it was an intense scene. It’ll remind you of a time when someone may have said that you’re homemade oven baked french fries tasted like McDonald’s so you’d say “What…THIS IS THE HOME COOKED DINNER I MADE!” I dunno, I just got that vibe and it was a pretty epic quote. 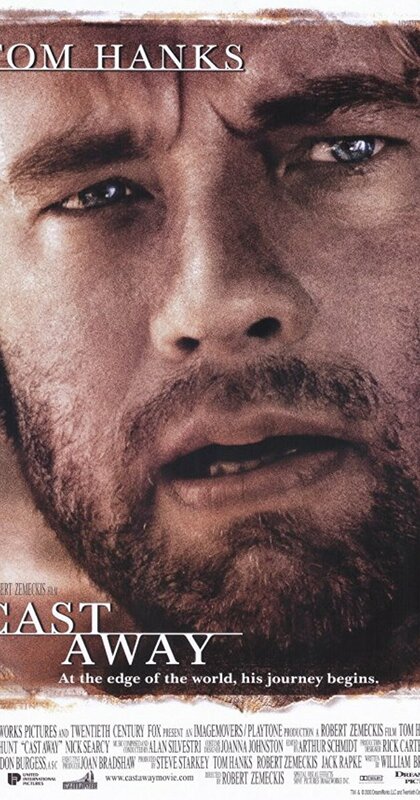 I can’t say that the film is very epic though. It’s a nice Christmas story, but that’s about all that I can say for it right now. It definitely needed some work in different areas and doesn’t fully live up to its hype, but it feels good to see a quality Christmas film. I didn’t actually realize this while watching the film, but the main character’s name was actually never said? That’s pretty surreal if you ask me. Well…it’s not like he was a likable character anyway so I can get around that. One day, the kid goes outside so he can catch Santa Clause in the act of giving away presents, but a train pulls into his backyard. The conductor tells him to climb aboard and the main character reluctantly obliges this request. Once aboard, he meets the other kids, but the main character can’t stay out of trouble. He drops a girl’s train ticket out the window so now he must try to find it as the train gets closer and closer to the North Pole. Time to meet Santa! As you can already guess, I did not like the main character. He was constantly double thinking the other kids and was always way too hesitant. Who would leave their warm house on Christmas Eve in the dead of night to go aboard a mysterious train? I would have still had some respect for the kid if he had gone in right away, but he waited until after the train was leaving to jump on. These moments of hesitation just make him look bad. The main character also loses the girl’s ticket in rather clumsy fashion. How hard can it be to hold on to a ticket? The film likes to be very mysterious so you can decide on whether things really happened or if they were a dream. In one scene, the main character sees the conductor take the girl to the top of the train where they braved the elements and walked all the way over to the front area where she took charge of the controls. The main character tried to follow them, but it was a long journey and he got to go Skiing. I’m pretty sure that he just fell in the snow and fainted before waking up and quickly walking over to the front. Still, I wonder if he had started making the journey at all and maybe this was all just an elaborate dream…nahhhh. I still would never say that this was a dream, supernatural elements are fun after all. The main girl was all right so she helped to cover for the main character. She believed in having a good time and going with the flow. Unlike the main character, who forgot about the kid who jumped aboard and then did not want to take the risk of giving him any hot cocoa, the girl was always ready to help. Unfortunately, I didn’t like the shy kid who came aboard. Jumping on the train was already dicey, but then deciding to hide by himself in the final car….I don’t know about that. Seemed like a strange move and there weren’t even any token bullies that were around to keep him away. There was the smart kid who loved to talk and talk and talk, but the guy was never mean spirited. If anything, it was impressive to see him keep up with the main characters. Almost a little too impressive, but I’ll let it slide. There aren’t a whole lot of Christmas songs to be found here, but a few did pop up before the film ended and those tunes were good. The soundtrack was good enough considering that I didn’t have huge hopes for it and the quick Hot Chocolate dance wasn’t bad either. It was neat to see how you can throw a Hot Chocolate in such a way so that it would not spill. Now that’s what I call true Skillz! The animation still isn’t my thing. It sort of reminds me of those “Animate yourself” ads that played a while back before the hand drawn versions replaced them. It doesn’t feel very high budget even though it probably did cost a bit for the transition. I think American animation can be good, but I prefer more of a traditional approach like Justice League or something or that nature. It allows for more streamlined action scenes. For example, jumping on the train and getting across the mountains would be more intense visually using the classic animation strategies. The scenes were still cool though and the animation isn’t bad like some other styles, but this “theater” feel that I get from the film isn’t really a positive this time. I felt like the film moved on at a fairly quick pace. I never found myself bored, but you definitely need to go into the film remembering that there is barely a plot. Most of the film is just the train ride to the goal and the slight setback of going through a factory first. Nothing really happens by the end so you can go away with an empty feeling, but maybe you’ll walk away with a grin instead. I feel like the film would have been significantly better with older main characters. Yes, not just better, but significantly better. I actually thought up a plot that would have made this film almost unrecognizable in terms of quality. The main characters could have been business folk who never had time to spend with their kids on Christmas because they would work overtime or they would be catching up on zzzzz’s. So, one day a train rolls into the backyard on Christmas Eve saying that they will learn the true meaning of Christmas, and a large check of money if the trip was a waste. The business guys and gals would jump at the chance for this and during the ride: bonds would be formed, (Friendzone bonds because the main characters will all already have an attachment or just not be interested in that sort of thing) challenges would be overcome, and lessons would be learned. The dialogue would be much better and the characters would have a chance to be charismatic. 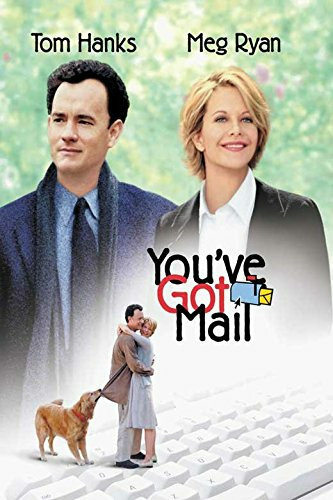 Tom Hanks ended up being the best character here and more adults in the film could have given him some competition if given the chance. Characters are very important and you can always count on that aspect of the film being able to tip the scales when given a chance. 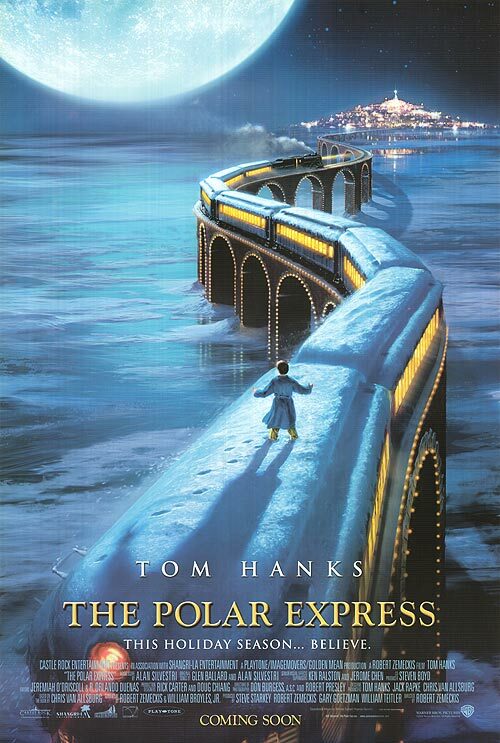 We need a Polar Express remake with adults and as long as the writing is on point, you can bet that it will be an improvement.